This is a moment I’ve been waiting for…for 5 months to be exact. 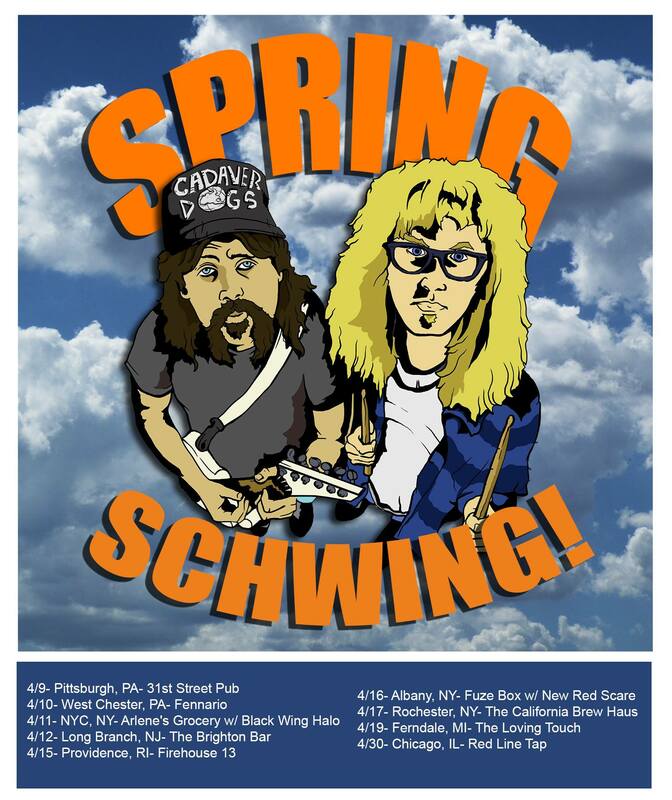 Kickass rock duo Cadaver Dogs are out from Ohio on tour and are gracing the Big Apple with their presence TONIGHT at Arlene’s Grocery! I’ve been in need of an epic rock show of Cadaver Dogs’ caliber, so it’s pretty much the best news ever to have these boys back in town after their last visit to NYC for CMJ in October. Since then, the pair have been rocking tunes from their fiery 2014 album called Too Much and have been planning new music and their “Spring Schwing” tour that is currently in full swing. You can check the poster below for more dates near you. You won’t want to miss this evening’s show that is sure to be an ear-bleeding, face-melting good time! The shenanigans start at 10pm! See you there!